Garson, G. D. (2016). Grounded Theory: 2016 Edition. Asheboro, NC: Statistical Associates Publishers. A tutorial and introduction to cluster analysis using grounded theory, with emphasis on the social sciencs. Suitable for introductory graduate-level study. Totally revised and updated throughout. 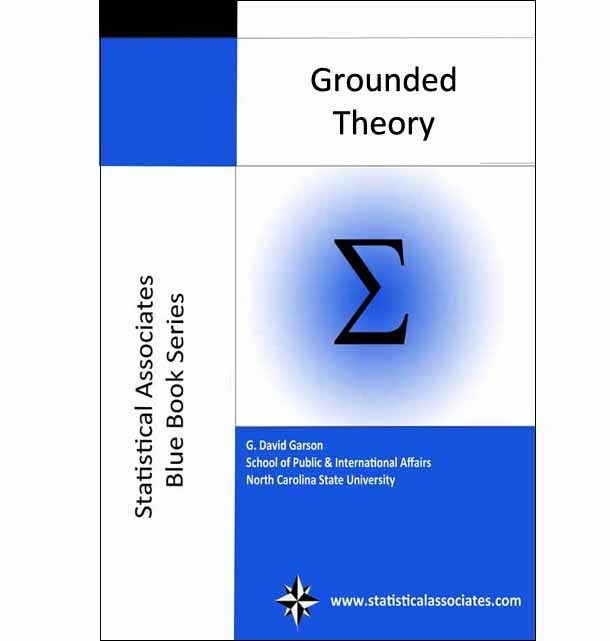 New FAQ sections on quantitative grounded theory, pilot studies, memoing, classic education for grounded theory, and more. Greatly expanded coverage of examples of grounded theory, steps in grounded theory, interviewing, differences in the Glaserian and Straussian approaches, types of grounded theory, and more.